Prestashop Custom Payment : Prestashop Custom payment allows you to create multiple custom payment methods for your Prestashop store. Customers do not have to rely on selected payment methods as they can choose from multiple payment methods as per their convenience. Prestashop Custom Payment - Prestashop Custom payment allows you to create multiple custom payment methods for your Prestashop store. Customers do not have to rely on selected payment methods as they can choose from multiple payment methods as per their convenience. Additional discount for each custom payment method attracts more customers to the store. Set the predefined order status of an order for each custom payment method. Select which user group can have the access to which custom payment method. Set the minimum cart total required for a customer to access a custom payment method. 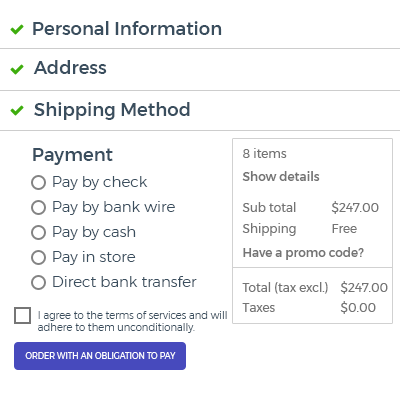 Select which shipping method is available for a custom payment method. Customers can select from different payment methods as per convenience. Display of banner on different positions increases customer engagement on the store. Offering multiple payment methods results to an enhanced customer experience as the customers can choose the payment method as per their convenience. Providing multiple payment methods lead to decreased cart abandonment as the customers can select the preferred payment method which further results in increased sales conversion. Configure personalized message to be displayed on the order confirmation page. 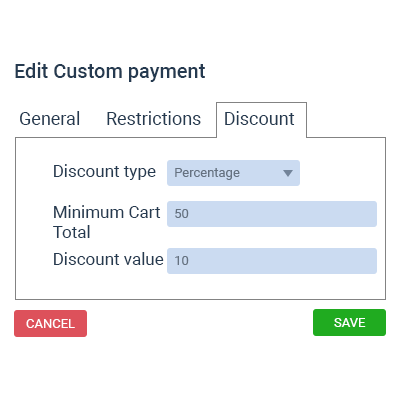 In Prestashop Custom Payment, you can configure additional discount for the customers for each payment method which attracts more customers to the store. Choose the user group(s), shipping carrier(s), currency(ies), country(ies) with which the payment method will be available. You can also set minimum cart total required for a customer to access a particular payment method. Banners are extremely useful when it comes to attracting more customers to the store thus reducing the bounce rate. 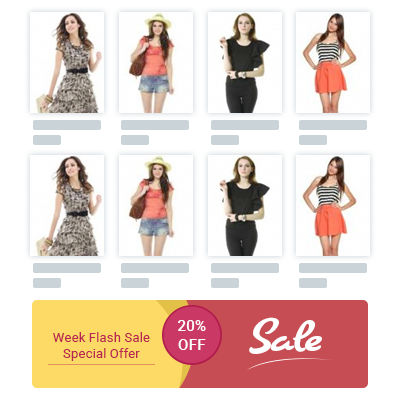 By adding customized banners you can generate more traffic to the store. You can display banners at different positions of the pages on the store i.e on home page, top of the landing page, on left column , before footer etc. Did you buy Prestashop Custom Payment?